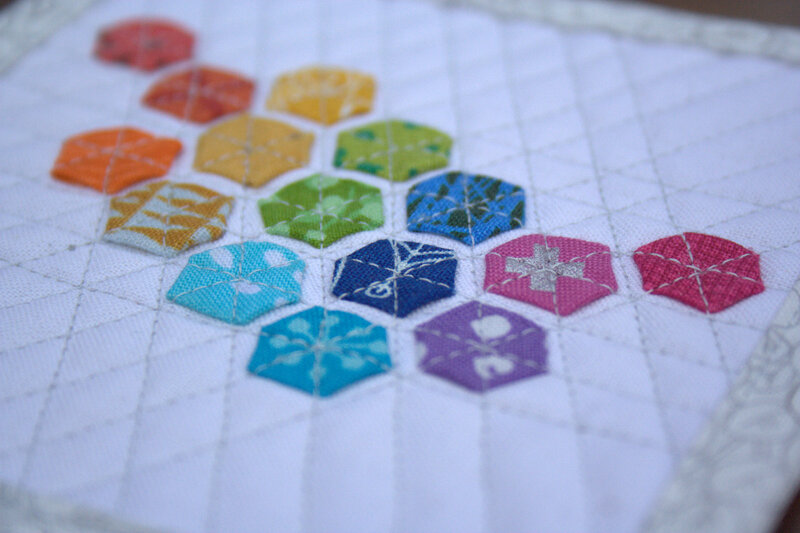 I’m sneaking in one last post before I disappear for a few weeks on a much needed vacation & blogging break. 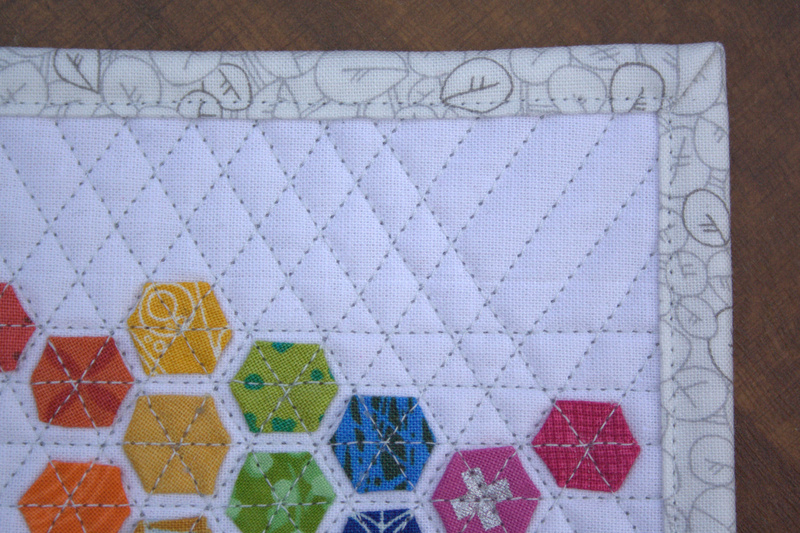 I finished the mini quilt I’m making for my partner in the Schnitzel and Boo Mini Quilt Swap, and I just have to share! 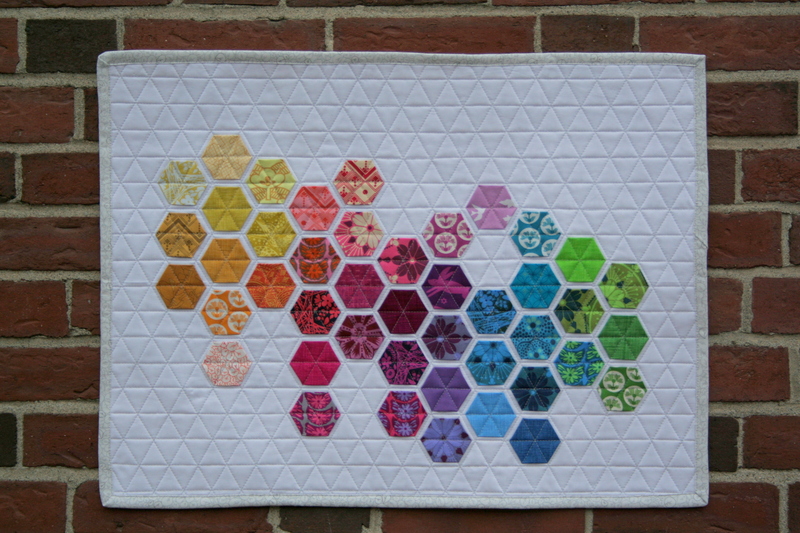 I have loved working on this quilt, and I’m pretty certain my partner will love it, too! 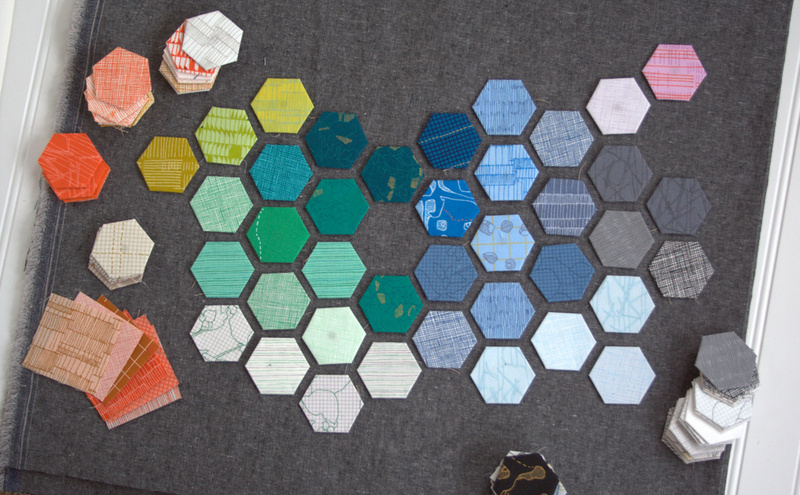 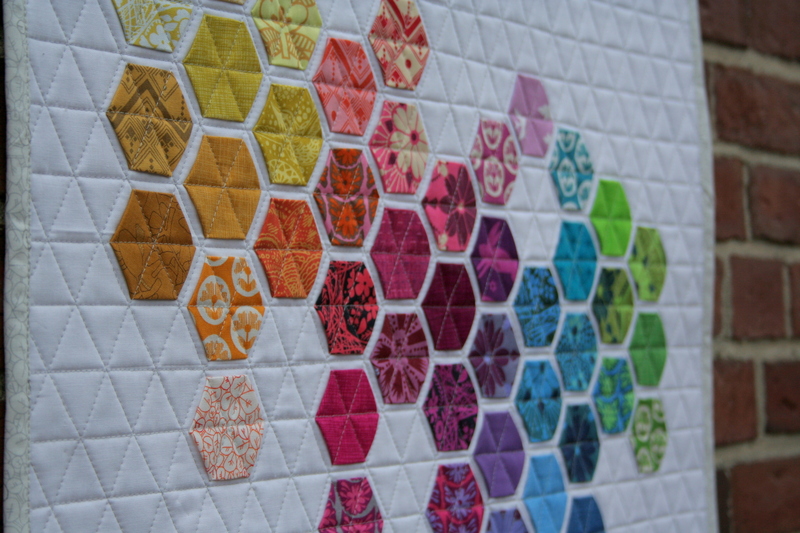 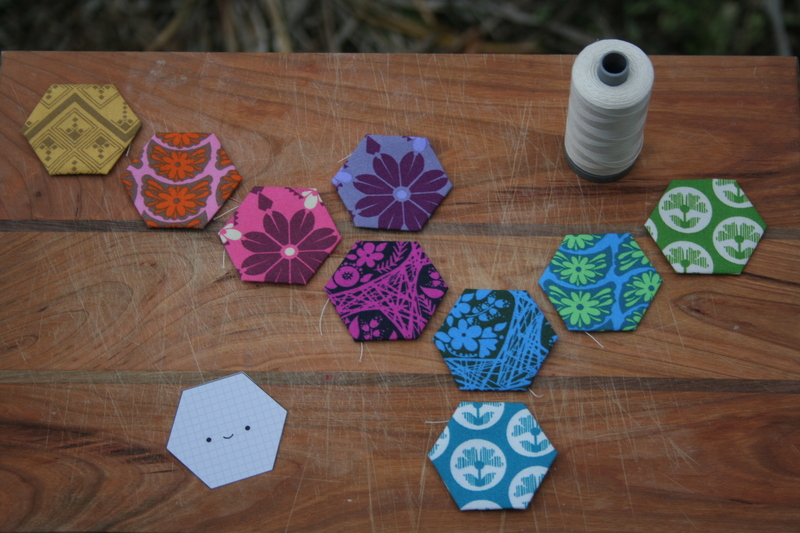 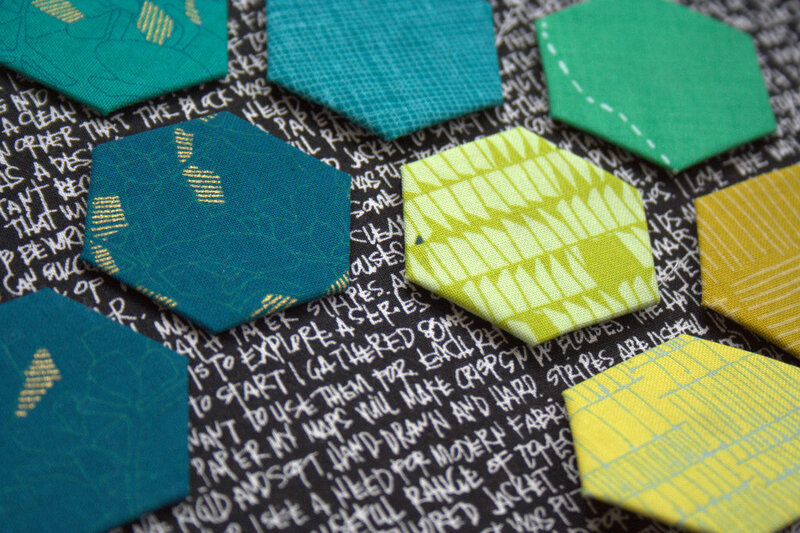 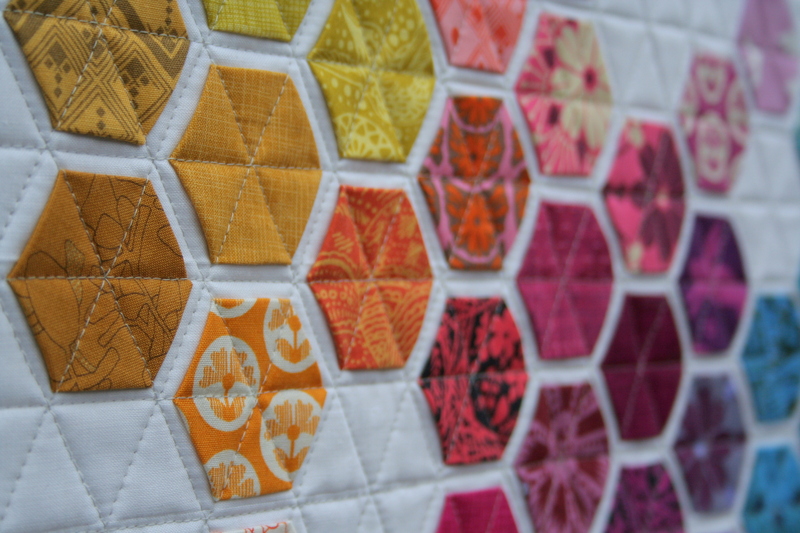 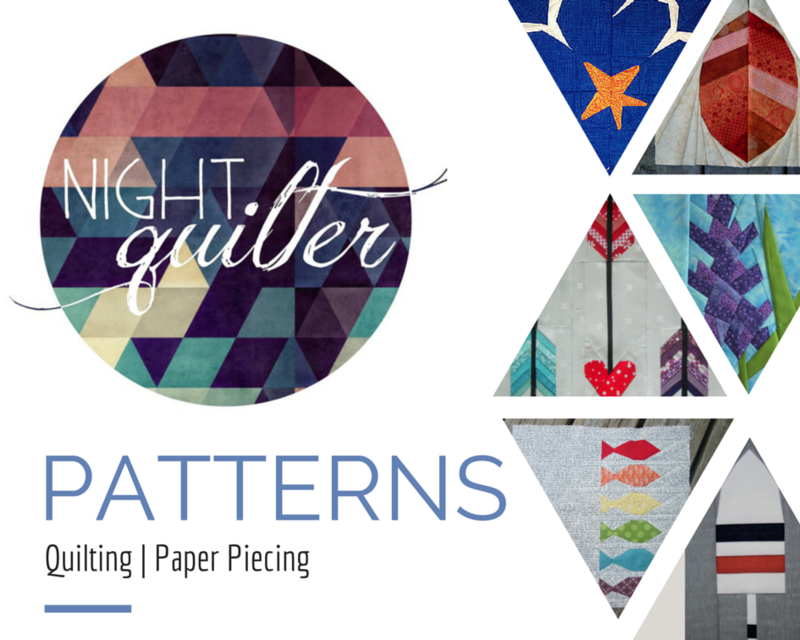 Nicole at Modern Handcraft has a wonderful tutorial on this short-cut hexagon quilting method. 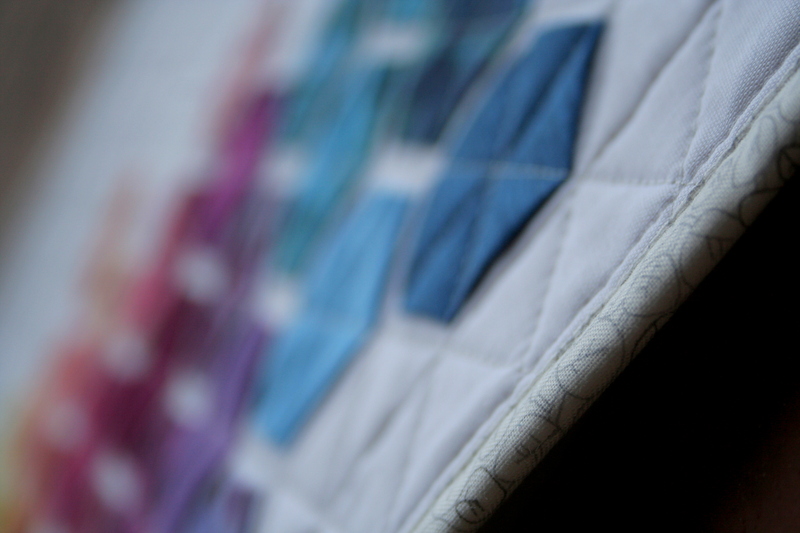 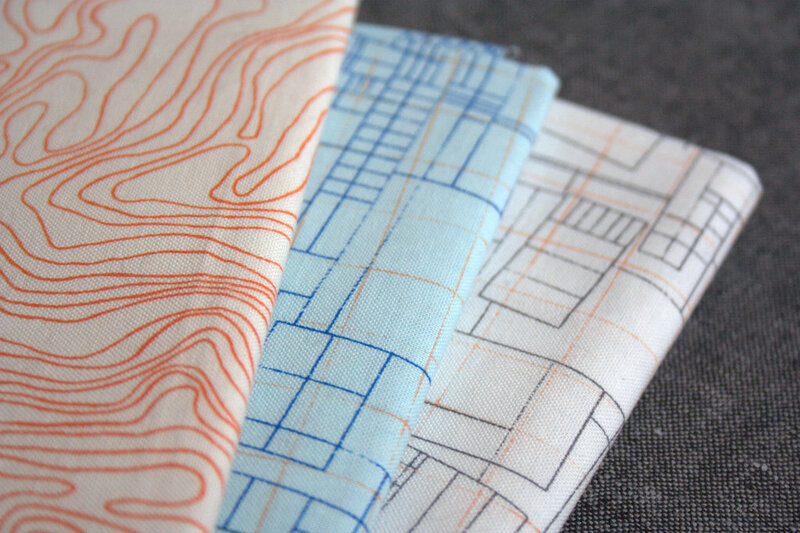 I’ve done some blogging (and a lot of Instagramming) about my progress on the quilt, which you can read here and here. 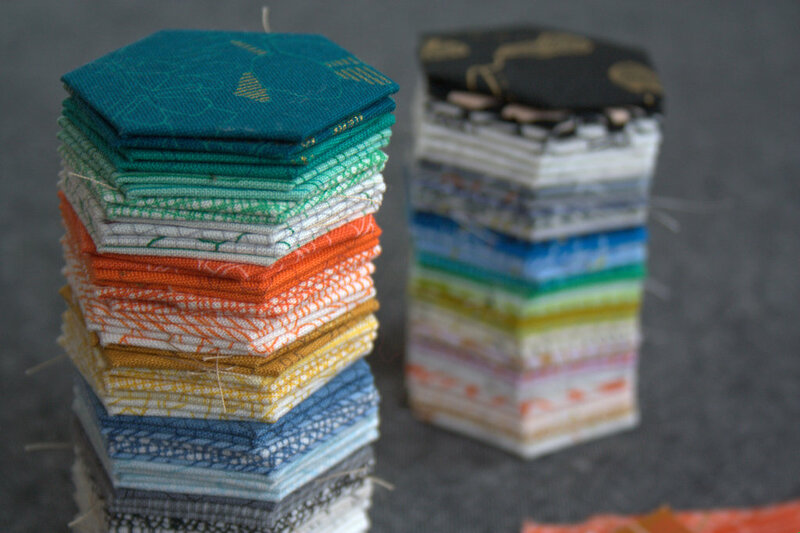 Are you ready for a total photograph color explosion? 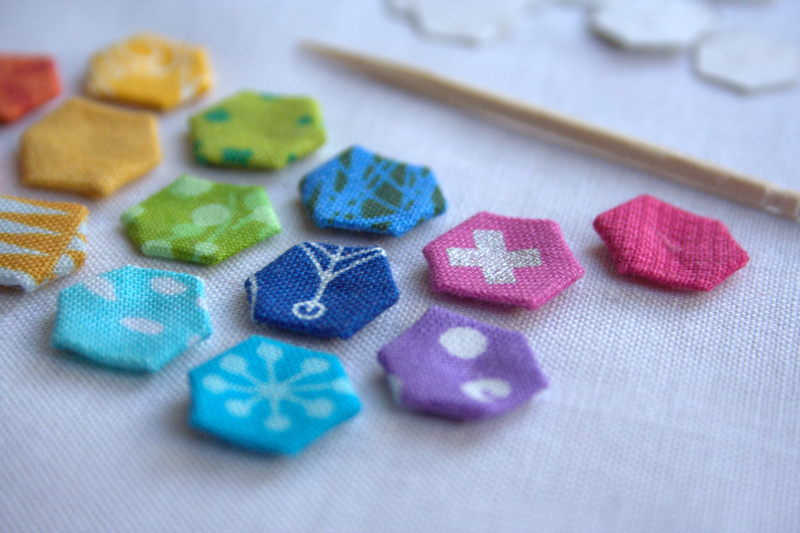 Okay, good. 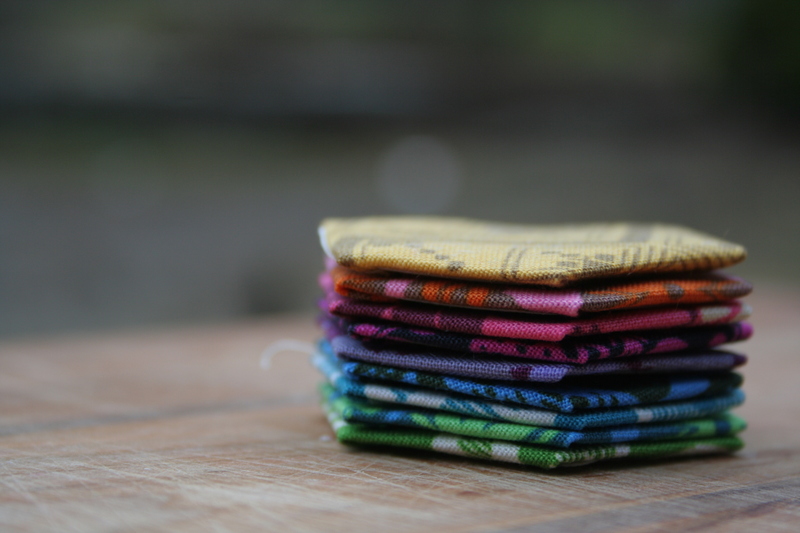 I took a LOT of photos of this baby, and in my usual style I can’t choose just one. 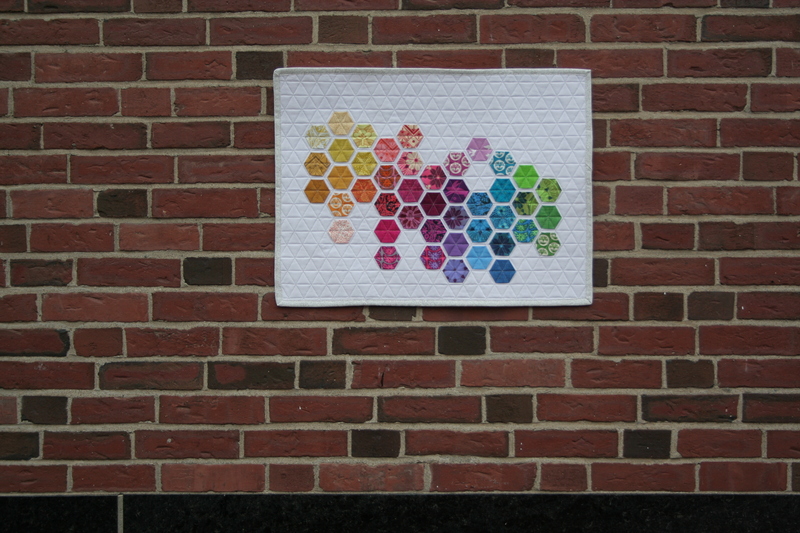 I took the quilt to the city (Bangor, ME) to find a good brick wall on which to photograph it. 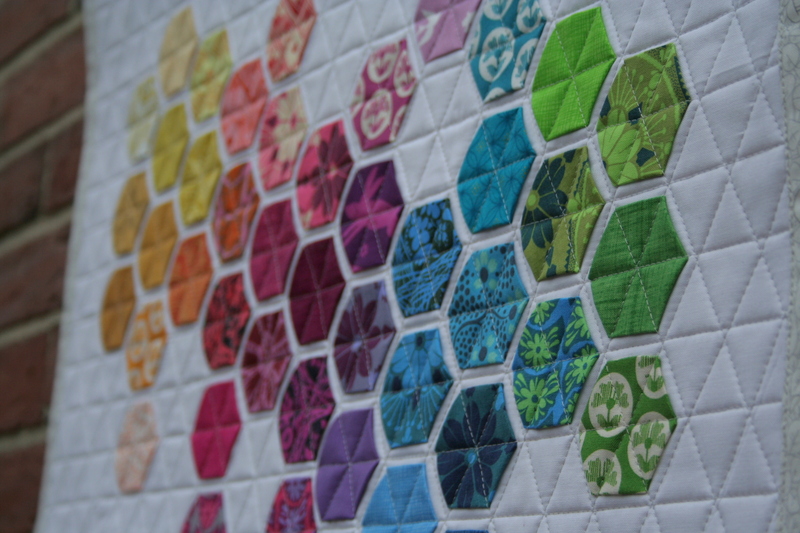 I wanted to mix it up a bit from my usual shed/barn side backdrop. 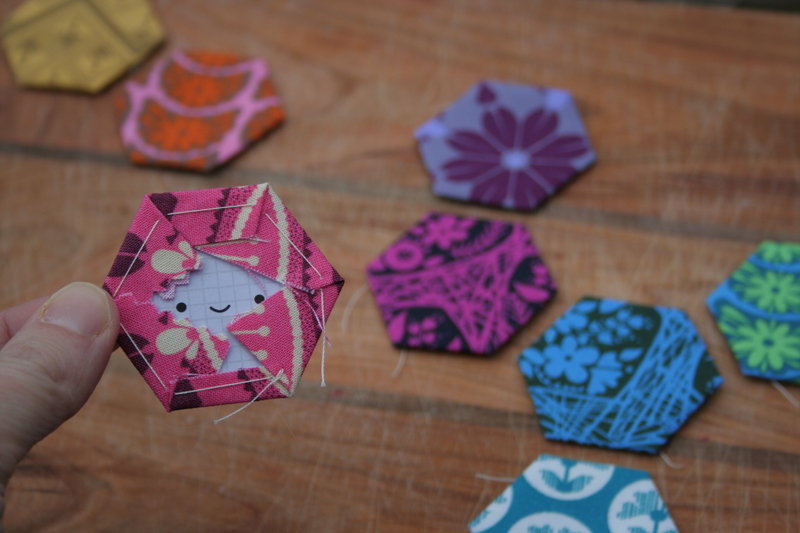 I love the effect! 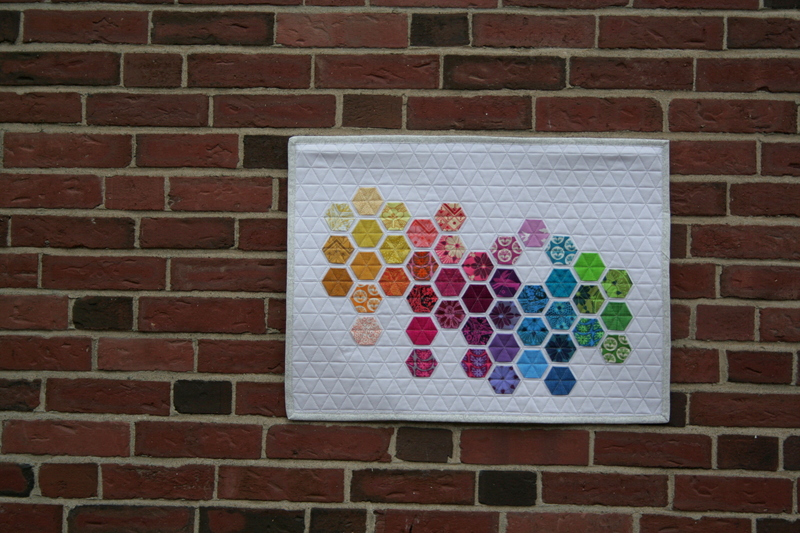 I decided to bind the quilt in one of my favorite low volume prints from Carolyn Friedlander’s Botanics collection. 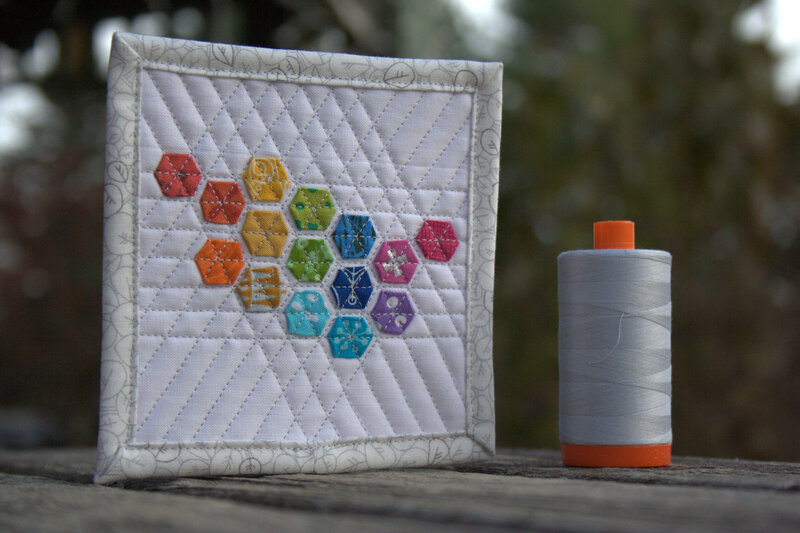 I used light grey aurifil to quilt it, and the grey on this print ties it together nicely without distracting the eye from the colorful hexies. 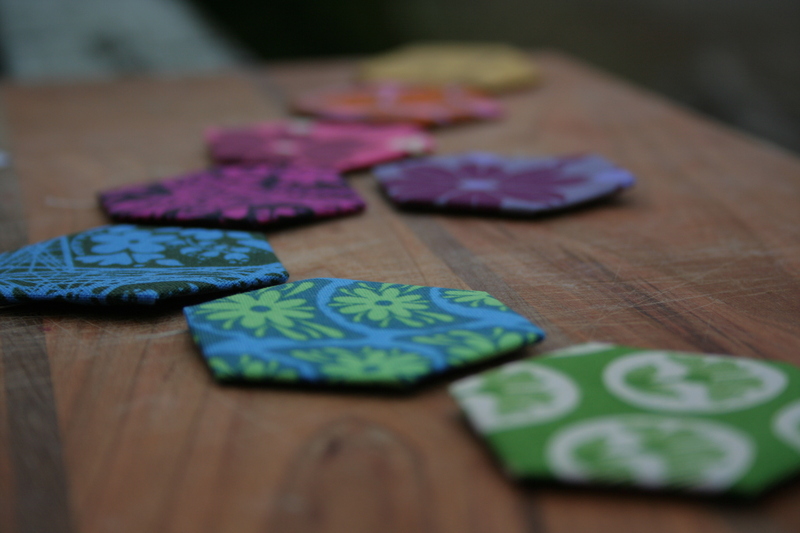 Oh how I love depth of field! 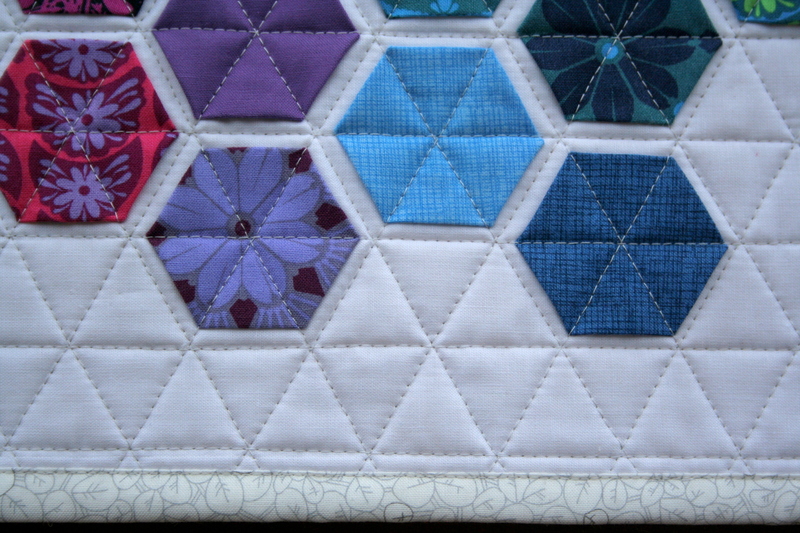 Fabric: Hexies are primarily Anna Maria Horner’s True Colors collection, with supplements from my stash (including but not limited to Carolyn Friedlander’s Botanics, Timeless Treasures Sketch, other Anna Maria Horner fabrics); backing Kona Snow; binding is Carolyn Friedlander’s Leaves in Charcoal from Botanics. 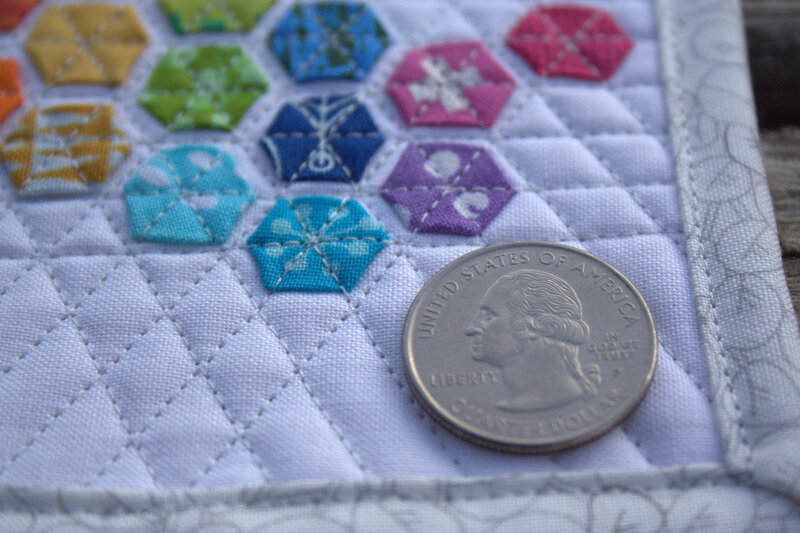 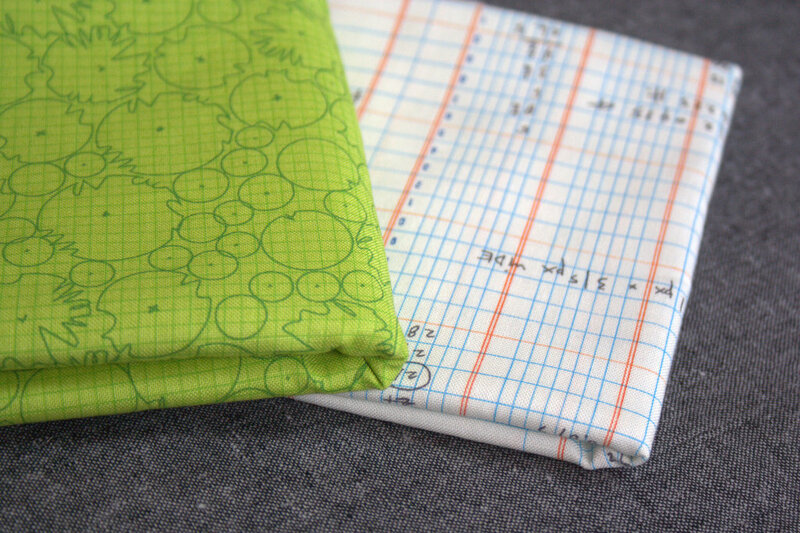 I’m linking up to Crazy Mom Quilts’ Finish it up Friday!